A truck accident can deal a devastating blow on an unsuspecting motorist or pedestrian. Due to their large sizes, trucks can be dangerous to handle and can cause a severe accident which can lead to death, severed limbs and damaged cars and properties. A truck accident no matter how small is not always fun to see. If you have had the misfortune of being involved in a truck accident, it is well within your right to seek compensation. 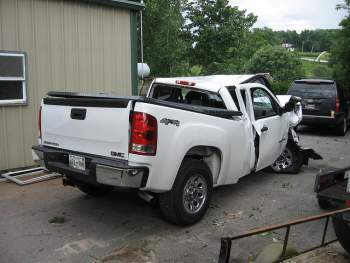 If you survived a truck accident, you should be very thankful and while you can let it die down without legal proceedings, you would need money to replace your damaged car, money for your medical treatment. This is why you need a settlement from the trucking company. Let Rawa Law Group help you fight aggressively for your right and ensure you get the maximum settlement according to law. We are a law firm with deep knowledge of truck regulations and the state of California (if the accident happened anywhere in CA like Buena Park) laws. Let us give new light to your truck accident injury claims and represent you with all our legal might. Rawa Law Group has been actively involved in helping clients and truck accident victims fight for their rights to a decent compensation. We don’t charge any upfront fees and only receive payment for our services after a successful representation. We are regarded as one of the top personal injury law firms in California and we strive to leave up to expectation by winning settlements for claimants in Buena Park one claimant at a time. If you are looking for the best truck accident attorney in Buena Park, get in touch with Rawa Law Group today.